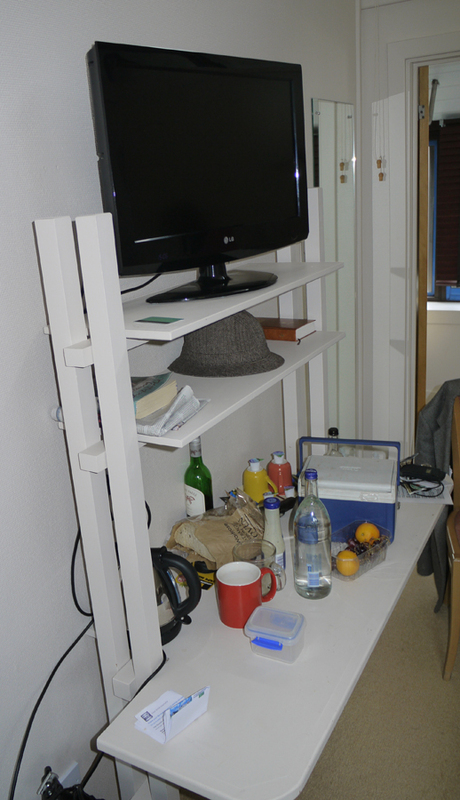 We recently stayed at DeVere's Uplands House, High Wycombe. 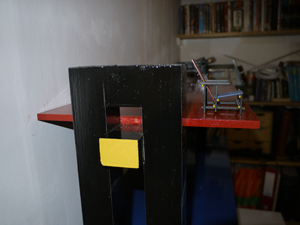 The room contained a desk and shelves unit which, if painted appropriately, would call to mind the Red-Blue chair. 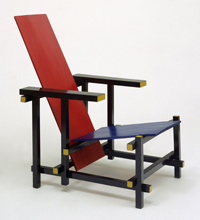 I plan to make one. 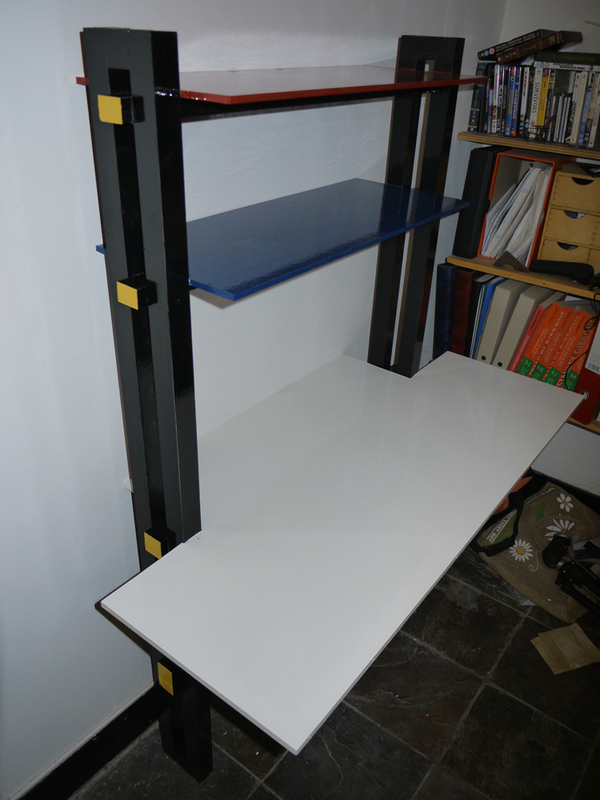 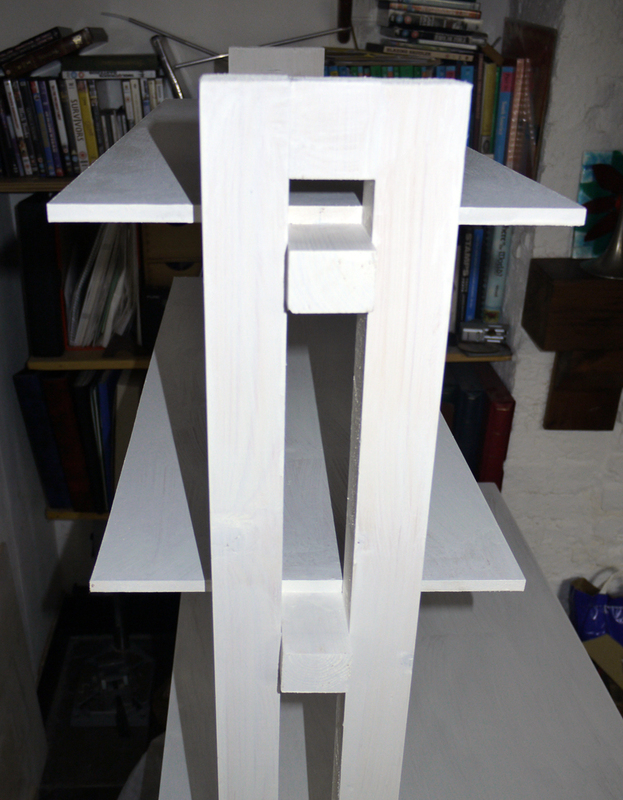 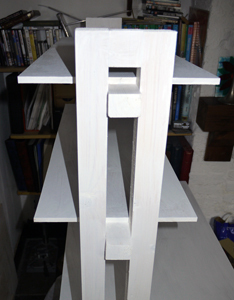 Here's the white (undercoat) version, Rietveld colouring to follow. I'm delighted with how it has turned out so far and think that GR would approve: I found some of his larger furniture less satisfying pieces than the chair, all too fiddly, for example the desk and especially the sideboard (images 3 and 4) which show his chair design principles taken much too far. 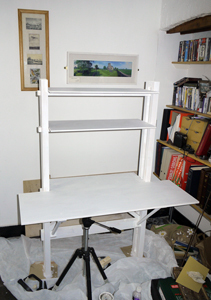 My only concern is, having extended the main desk beyond the hotel original, I hope the support pieces are strong enough to hold it.